Simo Häyhä has the most confirmed kills of any sniper on record — and he endured astonishing conditions to earn that title. Wikimedia CommonsSimo Häyhä, after the war. His face was scarred by his wartime injury. At the dawn of World War II in 1939, Josef Stalin sent over half a million men across Russia’s western border to invade Finland. It was a move that would cost tens of thousands of lives — and it was the beginning of the legend of Simo Häyhä. For three months, the two countries fought in the Winter War, and in an unexpected turn of events, Finland — the underdog — emerged victorious. The defeat was a stunning blow to Russia. Stalin, upon invading, had believed that Finland was an easy mark. His reasoning was sound; after all, the numbers were decidedly in his favor. The Russian army marched into Finland with roughly 750,000 soldiers, while Finland’s army was just 300,000 strong. The the smaller Nordic nation had just a handful of tanks and a little over 100 aircraft. The Russians, by contrast, had nearly double everything, with almost 6,000 tanks and over 3,000 aircraft. It seemed there was simply no way they would lose. 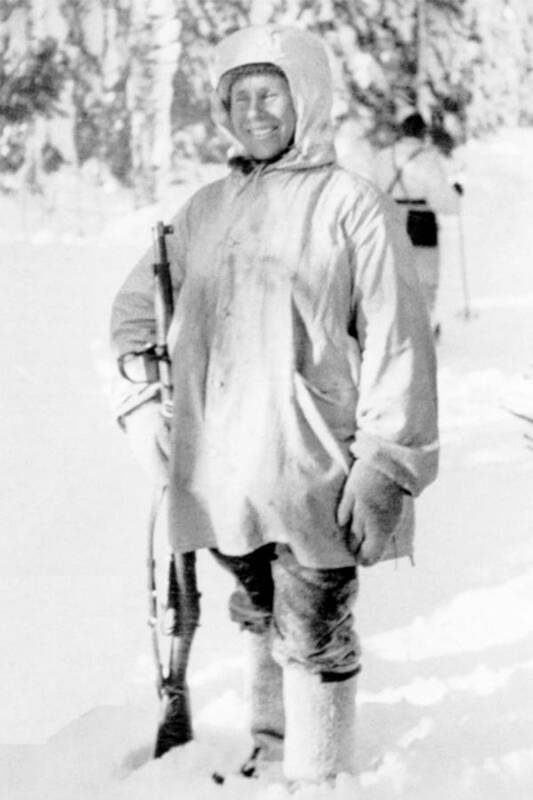 But the Finnish had something that the Russians didn’t: a diminutive farmer-turned-sniper named Simo Häyhä. Wikimedia CommonsSimo Häyhä and his new rifle, a gift from the Finish army. Standing just five feet tall, the mild-mannered Häyhä was far from intimidating and actually quite easy to overlook, which is perhaps what made him so suited for sniping. As many citizens did, he completed his requisite year of military service when he was 20, and then he returned to his quiet life of farming, skiing, and hunting small game. He was noted in his small community for his ability to shoot, and he liked to enter competitions in his free time — but his real test was yet to come. 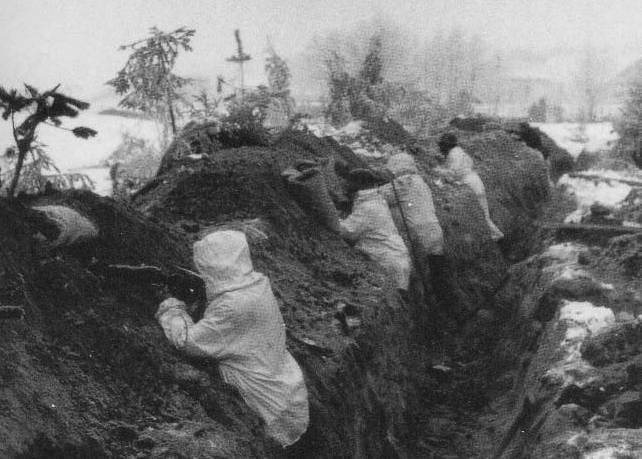 When Stalin’s troops invaded, as a former military man, Häyhä was called into action. Before reporting for duty, he pulled his old gun out of storage. It was an antique, Russian-made rifle, a bare-bones model with no telescopic lens. 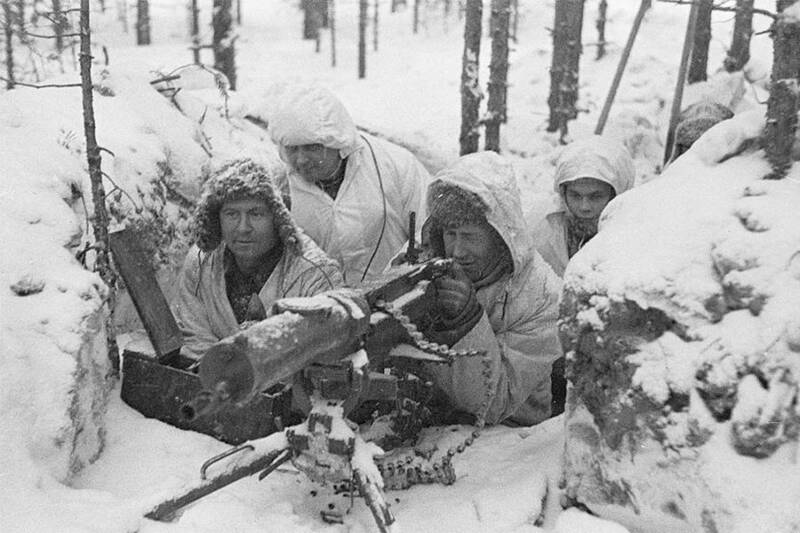 Along with his fellow Finnish military men, Häyhä was given heavy, all-white camouflage, a necessity in the snow that blanketed the landscape several feet deep. Wrapped from head to toe, the soldiers could blend into snowbanks without a problem. Armed with his trusty rifle and his white suit, Häyhä did what he did best. Preferring to work alone, he supplied himself with a day’s worth of food and several clips of ammunition, then snuck quietly through the woods. Once he found a spot with good visibility, he would lie in wait for the Russians to stumble across his path. Wikimedia CommonsFinnish snipers hiding behind snowbanks in a fox hole. Over the course of the Winter War, which lasted roughly 100 days, Häyhä killed between 500 and 542 Russian soldiers, all with his antiquated rifle. While his comrades were using state-of-the-art telescopic lenses to zoom in on their targets, Häyhä was fighting with an iron sight, which he felt gave him a more precise target. He also noted that several targets had been tipped off by the glint of light on the newer sniper lenses, and he was determined not to go down that way. He’d also developed an almost foolproof way of not being sighted. On top of his white camouflage, he would build up snow drifts around his position to further obscure himself. The snow banks also served as padding for his rifle and prevented the force of his gunshots from stirring up a puff of snow that an enemy could use to locate him. As he lay on the ground in wait, he would hold snow in his mouth to stop his steamy breaths from betraying his position. Häyhä’s strategy kept him alive, but his missions were never easy. For one, conditions were brutal. The days were short, and when the sun set, temperatures rarely rose above freezing. Wikimedia CommonsThe Russian trenches were full of Simo Häyhä’s enemies — and it was only a matter of time before he was caught. 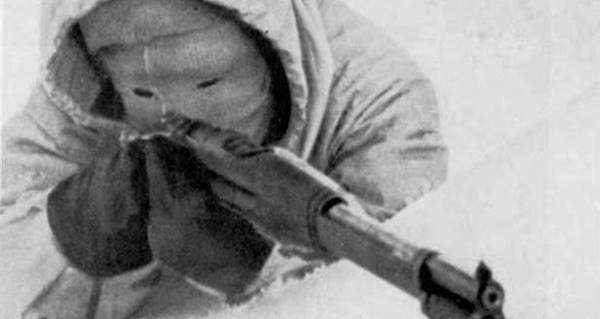 Before long, Häyhä had gained a reputation among the Russians as the “White Death,” the tiny sniper who lay in wait and could hardly be seen in the snow. He also gained a reputation among the Finnish people: the White Death was frequently the subject of Finnish propaganda, and in the people’s minds, he became a legend, a guardian spirit who could move like a ghost through the snow. When the Finnish High Command heard about Häyhä’s skill, they presented him with a gift: a brand-new, custom-built sniper rifle. Unfortunately, 11 days before the Winter War ended, Simo Häyhä was finally struck. 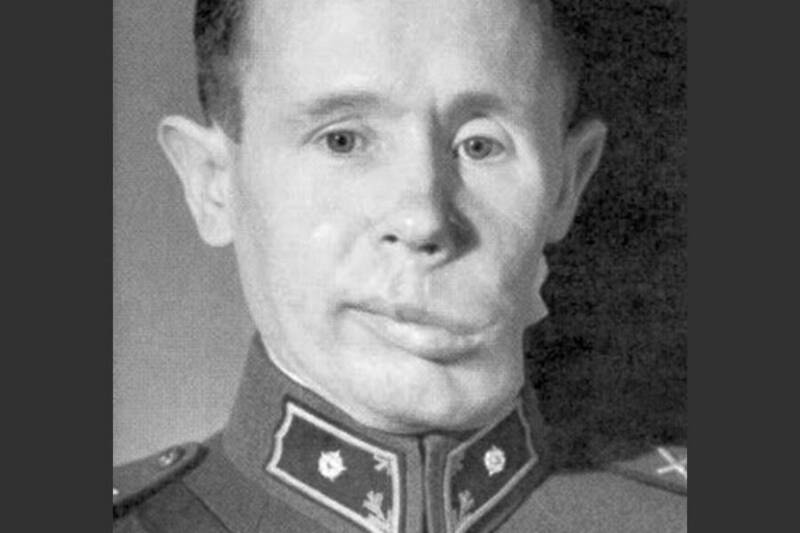 A Soviet soldier caught sight of him and shot him in the jaw, landing him in a coma for 11 days. He awoke as the peace treaties were being drawn up with half of his face missing. However, the injury hardly slowed Simo Häyhä down. Though it did take several years to come back from being hit in the jaw with explosive ammunition, he eventually made a full recovery and lived to the ripe old age of 96. In the years after the war, he continued to use his sniping skills and became a successful moose hunter, regularly attending hunting trips with Finnish president Urho Kekkonen. After learning about how Simo Häyhä earned the nickname the “White Death,” read the true story of Balto, a dog that saved an Alaskan town from death. Then, check out these harrowing photos from the Crimean War.